Another hotel for Harbor Blvd. in GG? 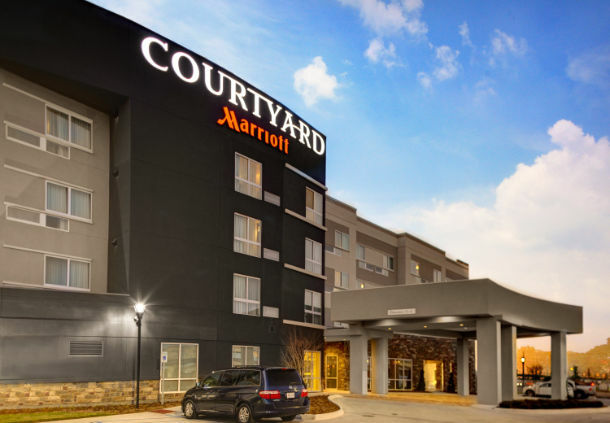 COURTYARD Marriott build by the BN Group in the New Orleans area (BN LLC photo). Yet another hotel could be coming to the Garden Grove skyline. At its meeting on Tuesday night, the City Council will consider a purchase agreement to sell a vacant former car dealership to a developer who plans to build a hotel on the property located at 13650 Harbor Blvd., south of the Garden Grove Freeway. A resolution to sell the 1.45-acre site to the BN Group, LCC for $2.8 million will be considered by the council. BN is a developer and builder of hotel based in Louisiana, which has a portfolio of Hilton, Marriott and other chain-operated hospitality operations along the Gulf Coast. The sale of the property, once completed, would net the city $1.2 million after paying off the amount owed from the original purchase in 2011. Constructed originally as a Mazda new car dealership, the property went through several uses. It was bought by the city for use as a Vietnam War museum. When fund-raising flagged, and a large balloon payment on the site loomed, the museum plans were dropped and the property put up for sale. While there are a dozen mid- and high-rise hotels along Harbor Boulevard in what is called The Grove District, a BN hotel would be the first south of Garden Grove Boulevard. While it’s removed some distance from the other hotels – most clustered near Chapman Avenue – it would have excellent visibility from the Garden Grove (22) Freeway and be located not far from a planned regional transit hub at the western end of the OC Streetcar, connecting Garden Grove with Santa Ana’s downtown and civic center. The council will meet at 6:30 p.m. in the Community Meeting Center, 11300 Stanford Ave. The council chambers are undergoing renovation to accommodate the expansion of the council from five to seven members.